Community murals like this Community Rejuvenation Project on the Phat Beets Market at 60th and Stanford have proven to be a long-term solution to blight and vandalism. What’s in a name? For the Oakland Community Art Coalition, everything. After issuing recommendations to Councilpersons Nancy Nadel and Libby Schaaf and speaking before the Public Works Committee on two occasions, advocating in favor of modifications to a proposed “Comprehensive Anti-Graffiti Ordinance,” the committee recommended adoption of several of the Coalition’s suggestions following a December 12 hearing. The recommendations included removing the word “graffiti” from the ordinance – a major point of contention for the Coalition, who argued that the word refers to a legitimate artistic aesthetic, and isn’t automatically synonymous with vandalism or defacement of property. Other committee recommendations included removing the City Administrator as sole determinator of Restorative Justice remedies, and, most importantly, a directive to city staff to work with community groups on the implementation plan. On December 18, the full Council agreed to amend the Ordinance according to the Committee’s recommendations, with final modifications coming January 22. The public hearing was a bit of a mixed bag: there was plenty of doubletalk from Councilpeople and city staff, some of whom seemed to attempt to have it both ways: take a seemingly tough stance on crime, while simultaneously professing appreciation for aerosol art and expressing enthusiasm for community input and Restorative Justice measures. Yet the Council couldn’t pretend that issues around implementation and enforcement didn’t exist. Illgen sidestepped the question—a valid one, since as much as 50% of tag-blighting is on city or state-owned property—by noting provisions were added “to allow relief for property owners who have been hit multiple times.” What he didn’t say, however, is that that relief is contingent on the identification and apprehension of taggers and vandals – an offense which the Oakland Police Department has publicly stated it won’t investigate.Kaplan then noted the implementation plan “is beyond what’s in the text” of the ordinance—another way of saying that currently, there is no implementation plan. “Who’s responsible?” for enforcement, she wondered—a question for which city staff had no answer. Following a motion by Nadel to add the word “tagging” to the definitions of offenses, and the adoption of the previously-proposed modifications—including the removal of the word “graffiti” from their “Comprehensive Anti-Graffiti Ordinance”—the Council voted to pass the ordinance. 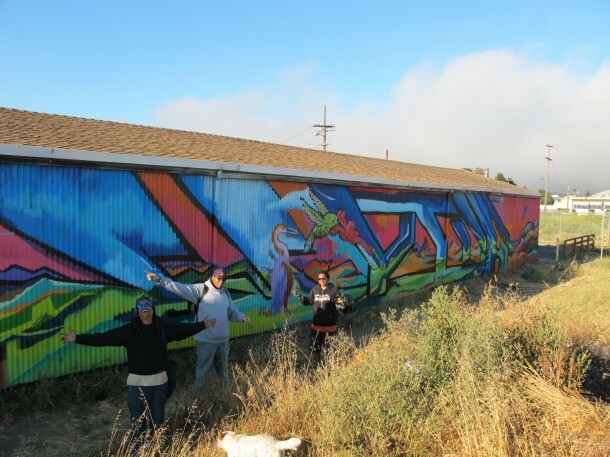 The city of Richmond has already begun to use murals to both assist in abatement, but proactively promote community ownership and pride of its public spaces. Oakland’s approach is strictly punitive. However, the Council’s comments confirm what anyone who has thoroughly looked at the ordinance has already realized: that the measure is far from comprehensive, lacks a cohesive plan for implementation, and as it currently stands, will be a mechanism for fining property owners who are the hardest hit by tag-blighting vandals, while doing nothing to prevent defacement from occurring in the first place. Those issues are a big reason why the Oakland Community Art Coalition—a group which includes members of the Community Rejuvenation Project, East Side Arts Alliance, Rock Paper Scissors Collective, the Estria Foundation, and I.C.U. –formed. While we remain skeptical about how enforcement will actually be implemented, we are encouraged by the stated intention of city staff and Council to work with community groups to create and enact the positive programs Schaaf referred to. 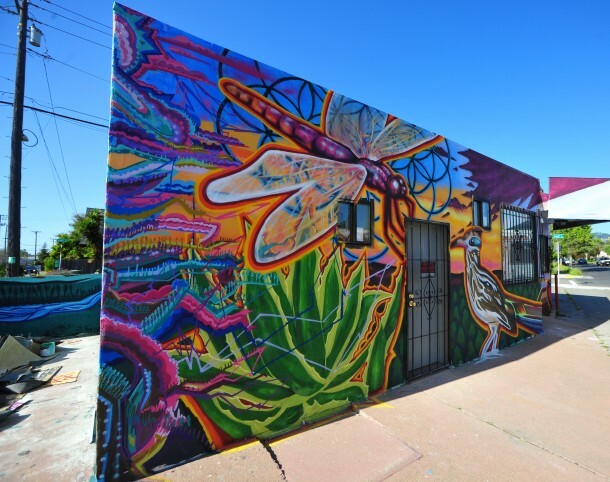 The OCAC will continue to push for the creation of a Mural Diversion Program, as part of the Restorative Justice measures referenced in the ordinance. We hope the city will see fit to fully adopt the recommendations we have outlined, which is the first step in rethinking abatement strategy to include beautification efforts which not only deter tagging and vandalism, but enhance the quality of life in blighted areas, instill a sense of community ownership, and promote youth development and artistic expression in a way that upholds creation, not destruction.